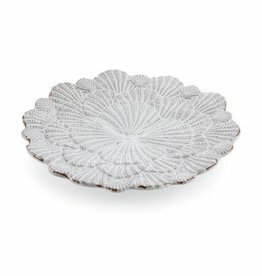 Shell Desert Plate. Size: 8 Inches. Everyday All Occassion Gift Collections. Mud Pie Gifts Serveware and table top decor for everyday, birthday, seasonal and holiday entertaining. Size: 7.5 dia inches. Vietri Italian Dinnerware. Box of 2. Size: 12.60 inches. Non-Lead Crystal. 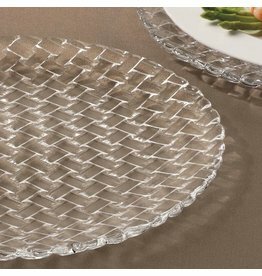 Nachtmann Fine Bavarian Crystal - The life style division of Riedel Glass Works. Nachtmann continues the tradition of Riedel by producing high-quality German Crystal wine glasses and related glass products. Antique style stamped message fork featuring the saying: Turkey Time. Size: 10 x 2 inches. Everyday All Occassion Gift Collections. Mud Pie Gifts Serveware and table top decor for everyday, birthday, seasonal and holiday entertaining. Size in inches: 8.25 Diameter. Use: Dishwasher and food use safe. Vietri Bamboo Garden Dinnerware Collection. 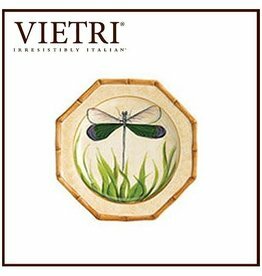 VIETRI Italian Dinner-ware, Dining, Tableware, Flatware, Drinkware, Gifts and Home Decor. Handmade in Italy.